Adopt the Dog of your Dreams, Guilt Free for any Dog Breed! My friend Gregg kindly wrote this article to help me out while I’m dealing with some health issues. I know we all love dogs, but I do not know anyone that loves dogs as much as Gregg. 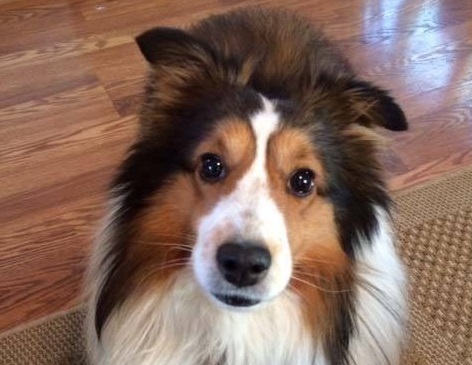 He may have a bias toward the Sheltie breed, but his dogs are rescues. My neighbor was thinking of getting a new dog and commented ” I’ve always wanted a Corgi, but I want to adopt also.” She was surprised when I told her about Gregg who had a “non mutt”, but also adopted. Gregg thank you for helping educate us all, and answering some questions that I’m sure many of us have about adopting. There are many ways to help animals in need of new, safe, loving homes. Shelters and rescues are by no means only for “mutts.” Every species and breed has its rescue, run by dedicated volunteers. This column is meant to give a short explanation about the different types of organizations that help them. By necessity, this explanation will gloss over some of the subtypes of shelters/rescues that exist nationwide. Animal shelters/animal control/pounds: These are frequently run by local government. Some are run by non-profit organizations, such as the outstanding Briggs Animal Adoption Center shelter (http://www.baacs.org/) run by the National Humane Education Society (http://www.nhes.org/) in Charles Town, WV. Another very well-known non-profit shelter is the Best Friends Animal Society (http://bestfriends.org/) shelter in Kanab, UT. A good representative for City and County shelters is the one run by Loudoun County Animal Control (http://www.loudoun.gov/index.aspx?NID=618) in northern VA. Smaller shelters abound, some good, some not so good. Any breed or mix (and many species) may found at them. All breeds are accepted in most cases. Loudoun Co. Animal Control accepts birds, rabbits, reptiles, horses, arachnids, and even fish. Government run shelters generally are staffed by both paid employees and volunteers. Private Non-Profit Rescues: These come in two main forms for dogs and cats, all-breed and breed-specific. All-breed means exactly what you would expect. Any friendly animal, purebred or mix, is accepted. Many list their current adoptable pets on the Petfinder website at (https://www.petfinder.com/). Breed-specific rescues abound. A breed-specific rescue may rescue only one breed or a small assortment of closely-related breeds. These are almost always staffed entirely by volunteers and breed-enthusiasts. They are highly knowledgeable about their chosen breed. Many are professional trainers, groomers, and animal care professionals. Others are motivated by their love for the breed. There usually is no central shelter building, as incoming animals are kept in the volunteer’s homes as foster dogs until thoroughly vetted, temperament checked, groomed and evaluated. 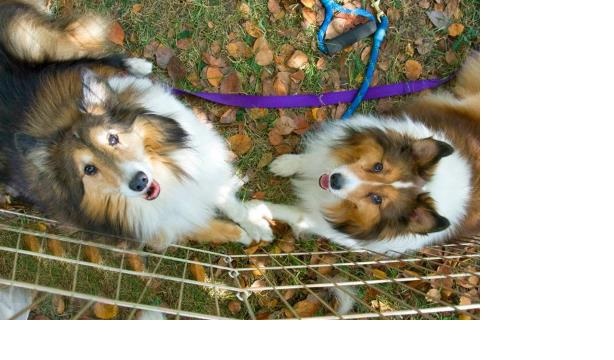 The organizations I volunteer for are Northern Virginia Sheltie Rescue (www.nvsr.org), Northern Chesapeake Sheltie Rescue (www.ncsr-md.org), and Western Pennsylvania Sheltie Rescue (http://www.wpasr.org/). Even the most expensive and exclusive breeds have their rescue organizations. Why people give them up is an entirely different subject for another column. Most rescues run entirely on donations of time, professional expertise, foster home space, goods, and money. They are 501(c)(3) small businesses and running one is just like running a small business. Everything involved in running a successful business is involved in running a successful rescue. There is an old saw about rescue that states that “If you’re in the black in rescue, you’re not doing it right.” The demand is almost always higher than rescues can meet. Rescue can be heartbreaking. We see and deal with some terrible cases. Most rescues and shelters have their own websites and/or Facebook pages. Google is your friend.